We started this class with a quick lesson on drawing angels. A good site for a simple angel drawing lesson can be found at: http://www.hellokids.com Type in “how to draw an angel,” in the search bar. This, “Heavenly Daze,” project can be found in the 2nd Grade Projects Gallery in the sidebar. 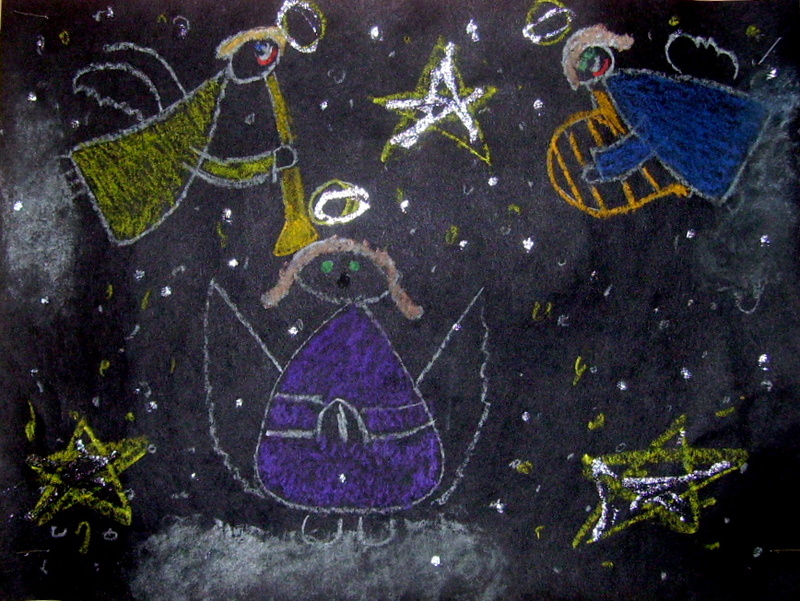 This entry was posted in 2nd Grade, Christmas Projects and tagged 2nd Grade, angel art for kids, angel crafts for kids, childrens angel art, christmas art projects for kids, drawing angels, heaven's angels, heavenly daze, how to draw angels. Bookmark the permalink.